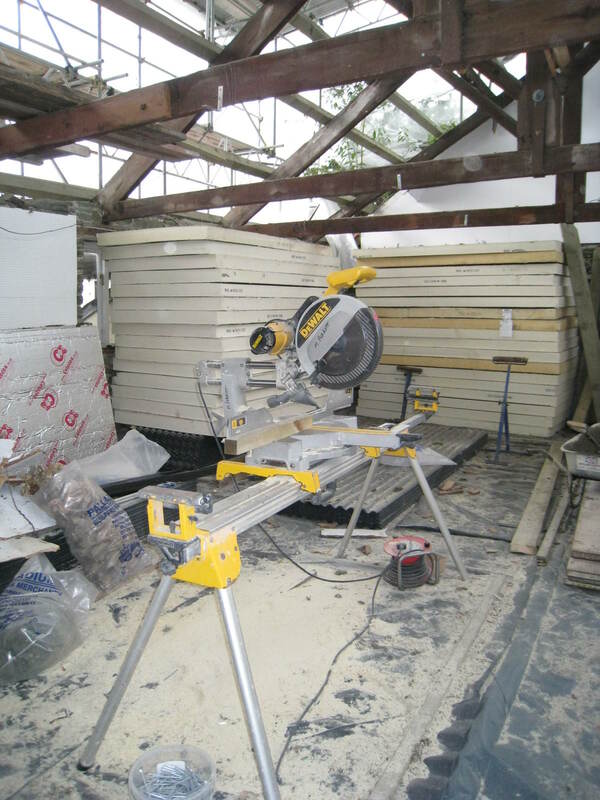 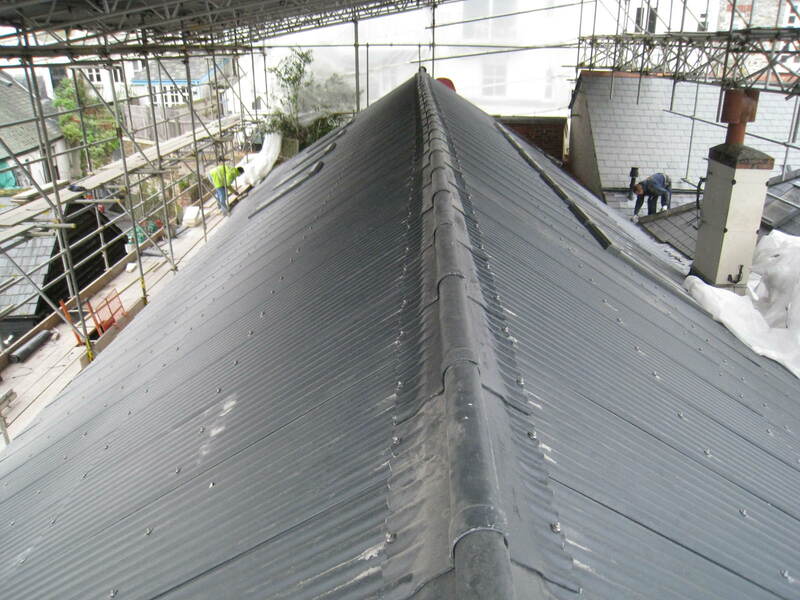 This was a complete re-roof for Salcombe Art Club in the South Hams at their Loft Studio. 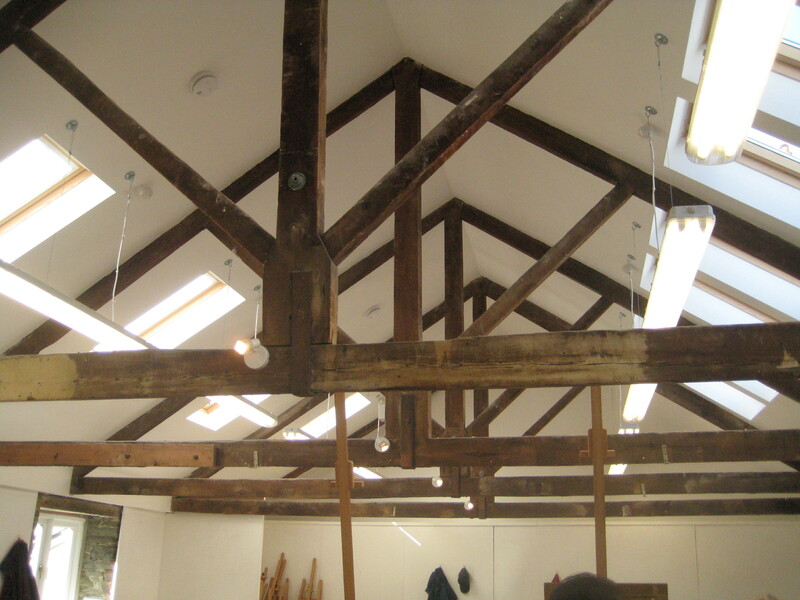 Because it is classed as an industrial building being an original stone barn on Victoria Quay the re-roof specified an agricultural/industrial replacement. 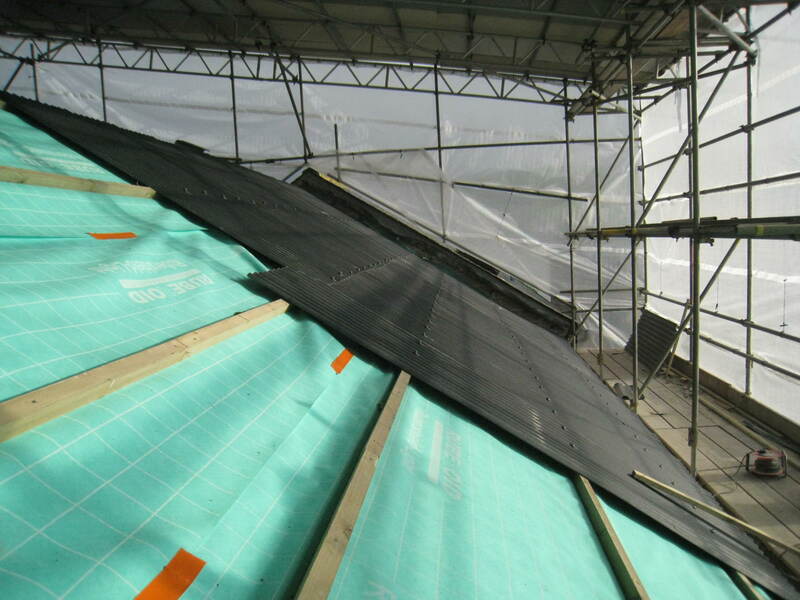 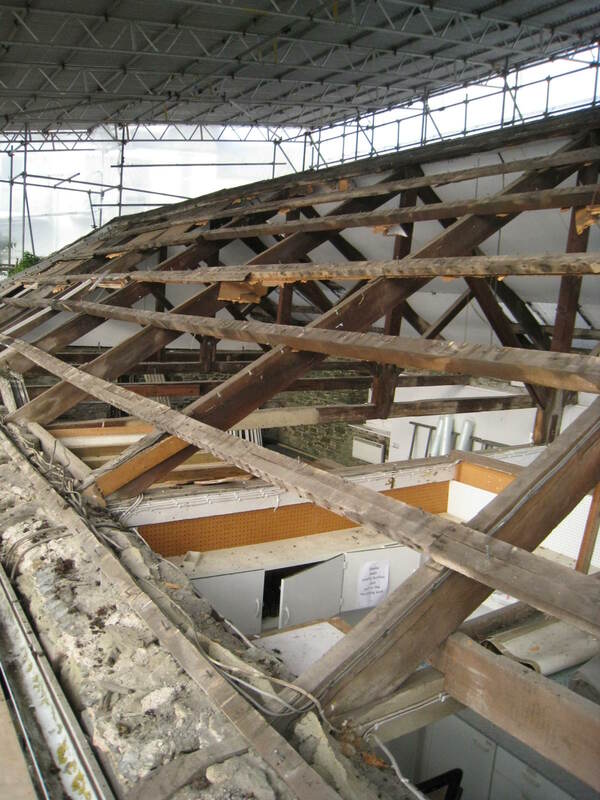 The old asbestos material was stripped and disposed of, replaced with new purlins and Marley roofing together with 8 conservation Velux windows and requisite insulation materials. 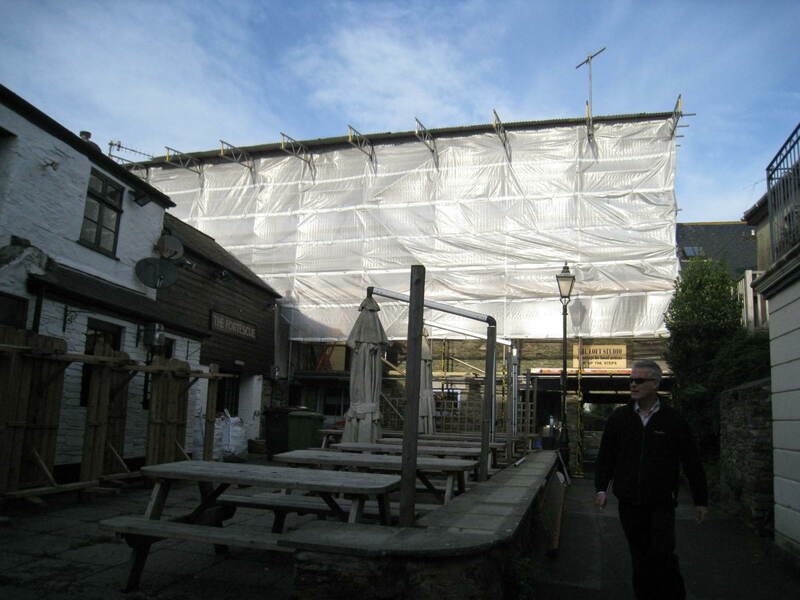 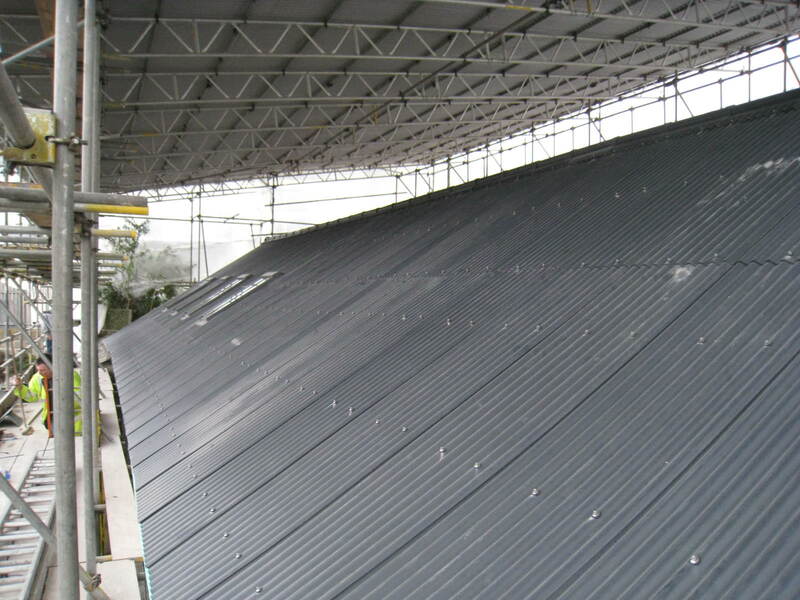 The whole required a top hat scaffold while the work was being done and the entire job was completed within 7 weeks. 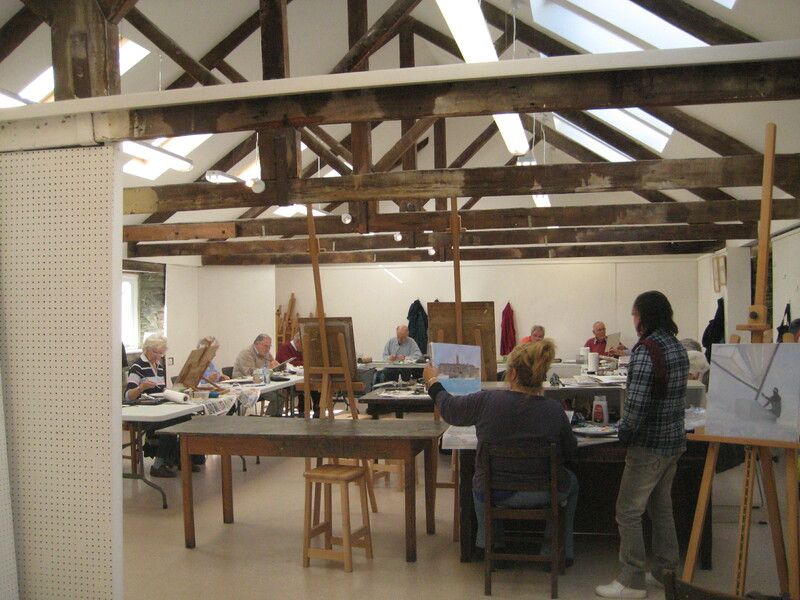 Salcombe Art Club now has its ‘new look’ and is open for tutored lessons and the annual summer exhibition.